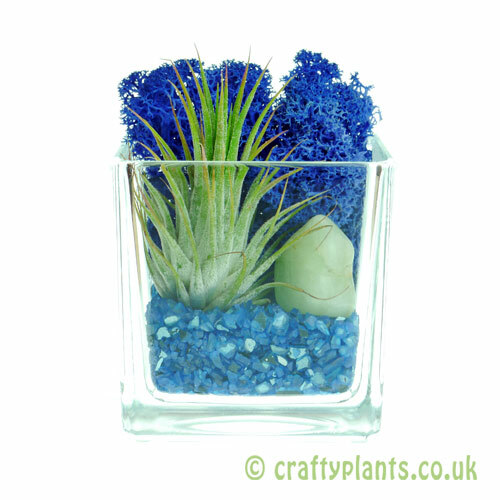 Ideal low maintenance plants, view our range of easy care airplants. Creative gifts, wedding favours or a treat to yourself. 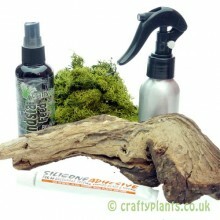 Our range of terrarium kits offers something for all tastes. From Tillandsia display accessories to air plant care & maintenance equipment. Watering and feeding twin pack for Air Plants contains: 1 View product. 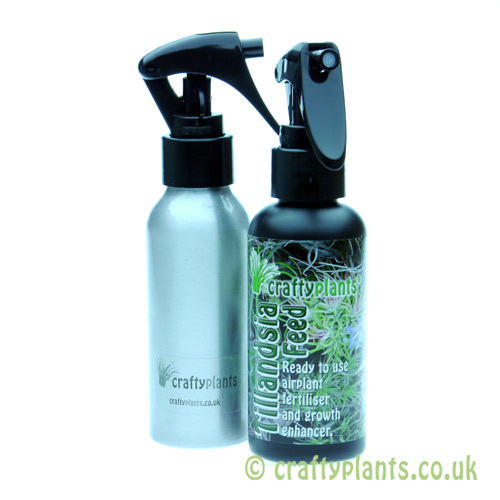 1 x Tillandsia Feed 100ml 1 x Aluminium trigger spray bottle View product. 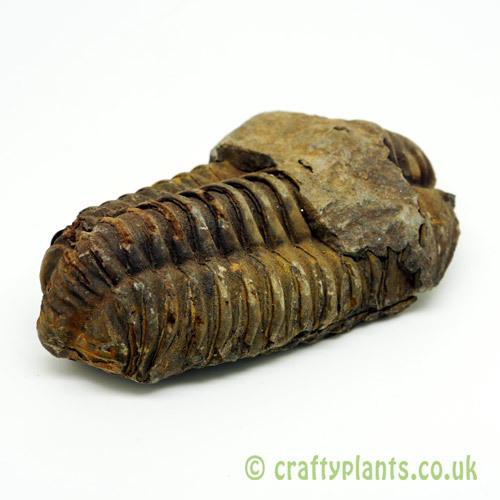 1 x Trilobite fossil measuring approx 70 - 90 mm at the longest View product. The Elements airplant cube kits make great table decorations and View product. If you’re looking to buy a great, easy to care for houseplant – Tillandsias, also known as air plants or tilly’s are an unusual member of the bromeliad family that could be ideal. With air plants in a wide variation of sizes, shapes and colours available, this unique Tillandsia genus has lots to offer. Unlike most plants, air plants don’t require pots or soil to grow, they’re perfectly happy growing on just about anything. Our wide range of nursery grown air plants are available to buy online direct from our nursery. Shipping available to all UK and EU addresses. Air plants are plants belonging to the genus Tillandsia, members of the bromeliad family (the same plant family as pineapples). Air plants are low maintenance plants that are adapted to live in a wide variety of conditions, from deserts to rain forests. Unlike most plants they don’t need soil to grow, they literally live in the air! Air plants work by absorbing water and nutrients through their leaves. Find our more about these fascinating plants. To keep air plants alive and happy they need light, water and good air circulation to flourish. As air plants have evolved to survive in some tough habitats in nature, they can be a bit more forgiving than a lot of plants. A ‘less-is-more’ attitude to watering is often the best way to treat many species. Check out our care page for detailed info. Most of the 650+ known species of air plants are native to Central and Southern America where they live in a wide range of habitats. Over the years, many great hybrid air plants have also been created by crossing two different parent plants. You can find out more about their natural habitats on our about Tillandsia pages.